A unified view of all your company research. Personalised for your team. Analyst research often sits in silos. Workbench unfetters your company research and brings it to the fore. View, access and analyse all your company research, ideas and insights in one place. Thank you for your interest in Workbench. We will be in touch soon. 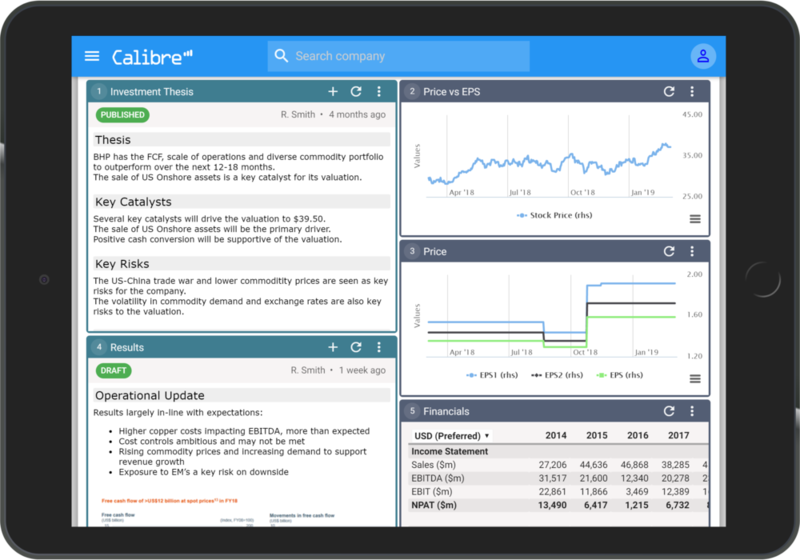 The Workbench module of Calibre RMS has been developed through extensive consultation with the active asset management industry and Calibre's global clients that actively manage more than $110Bn in FUM.